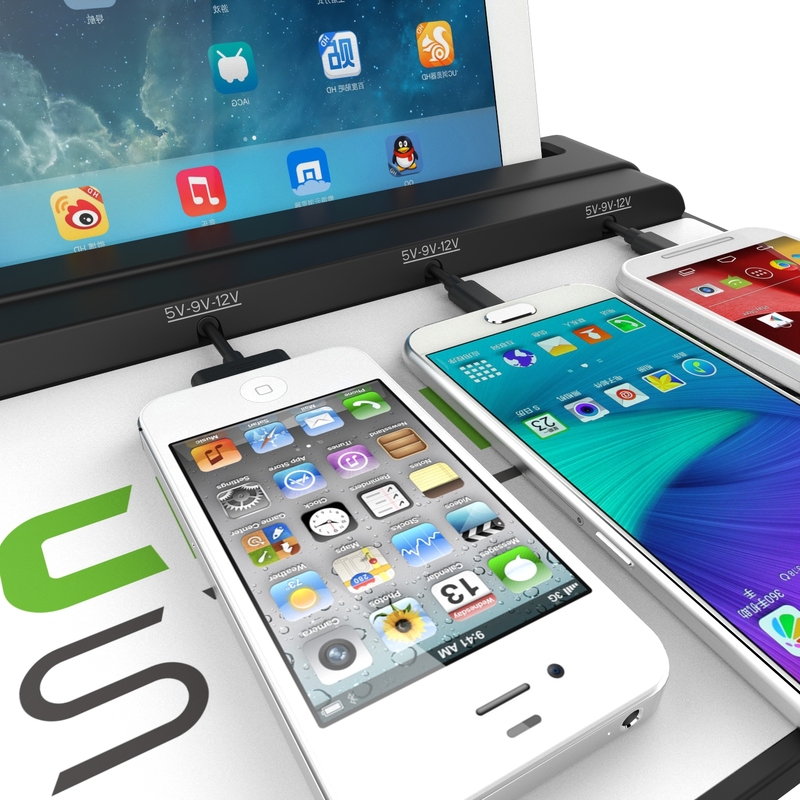 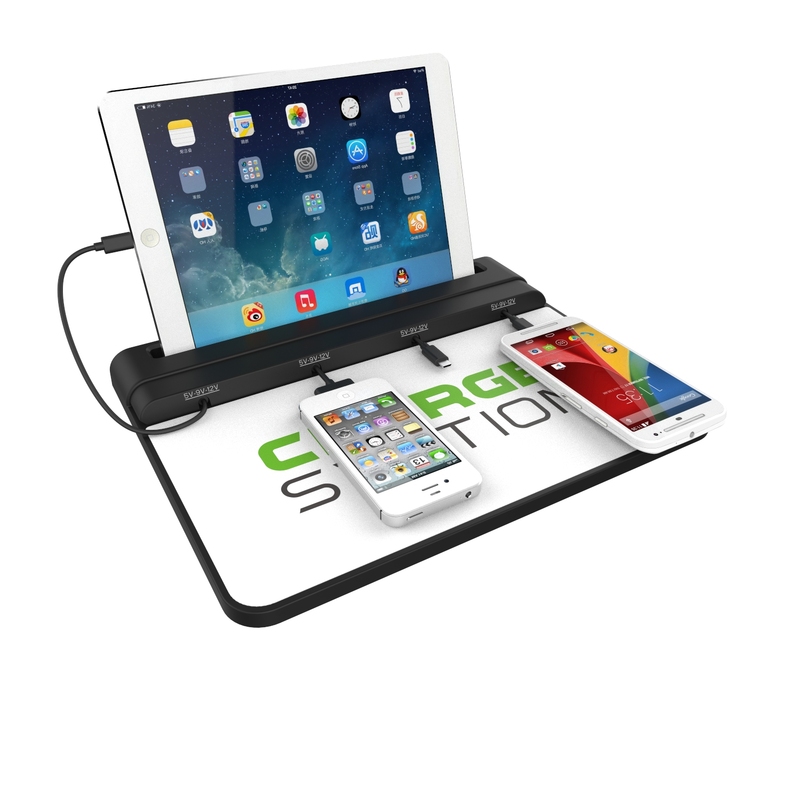 New ChargeBar CBM-004 personal charging mat. 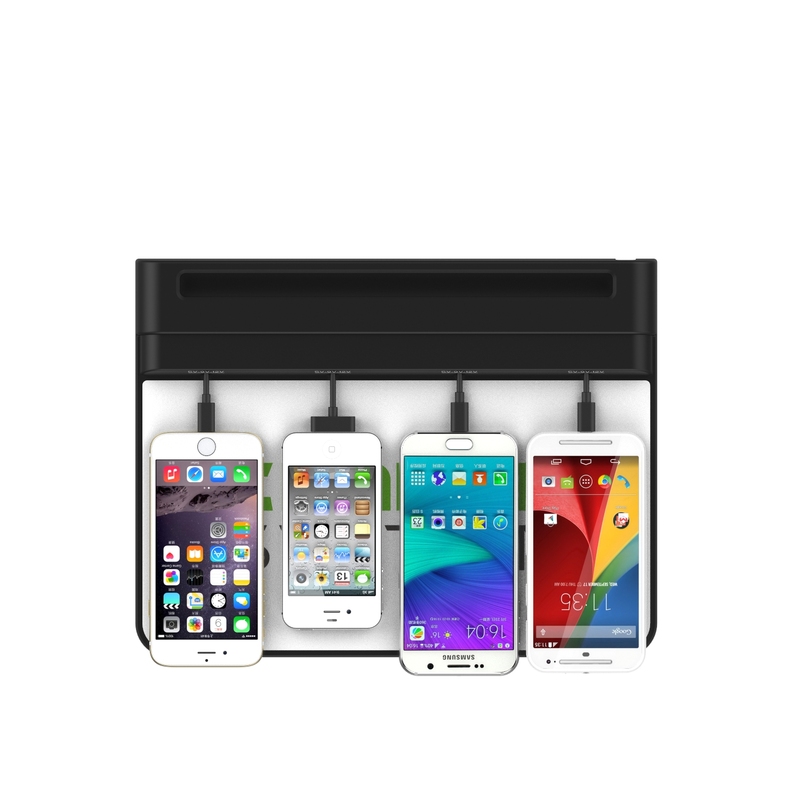 Charge clients’ phones quickly while promoting your business or event. 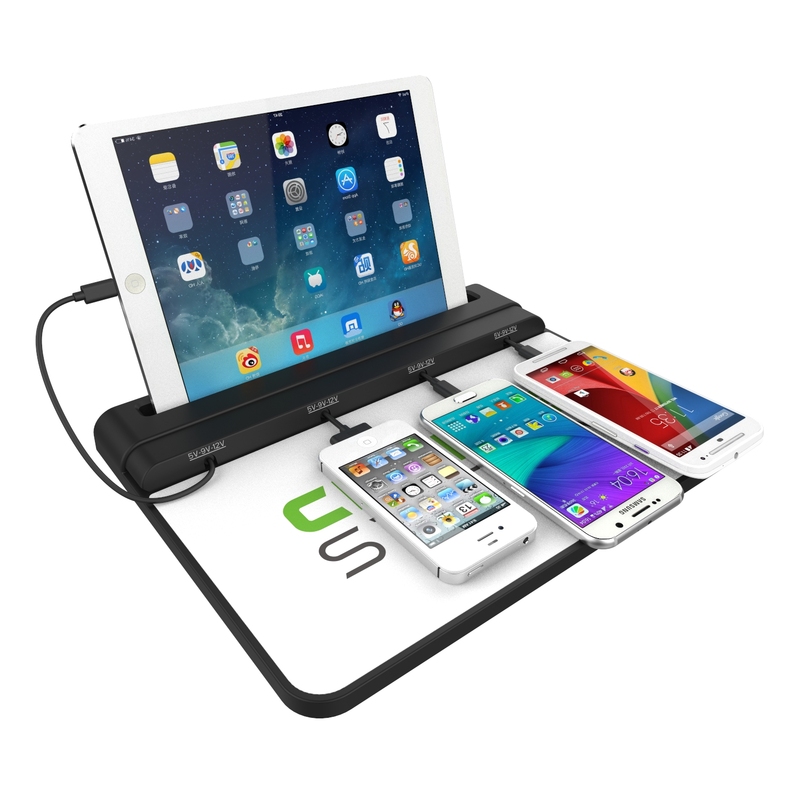 CBM-004 has 4 cables and iPad and tablet holder. 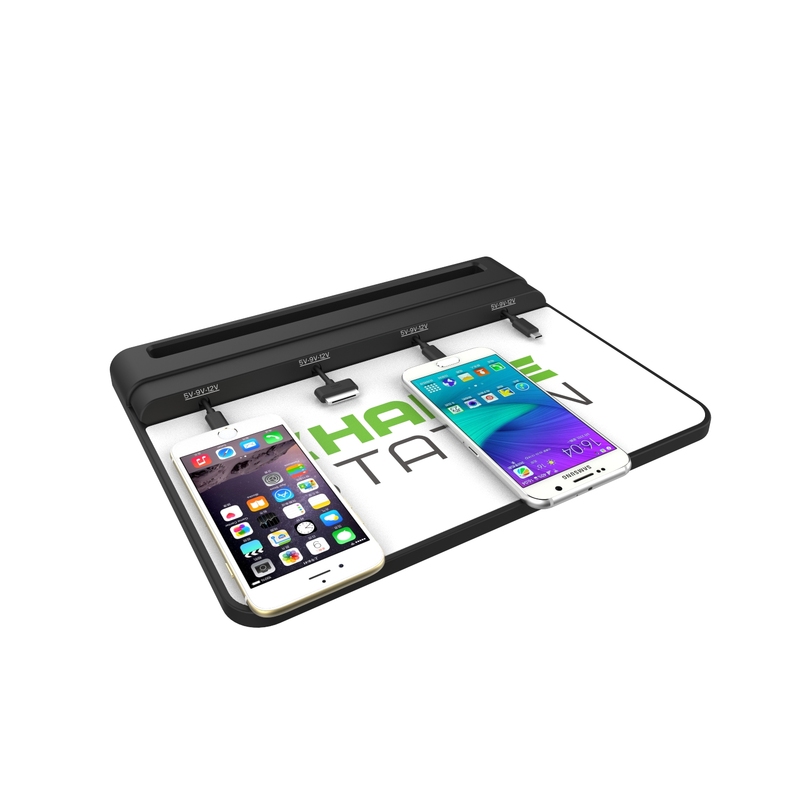 Can be viewed while charging. 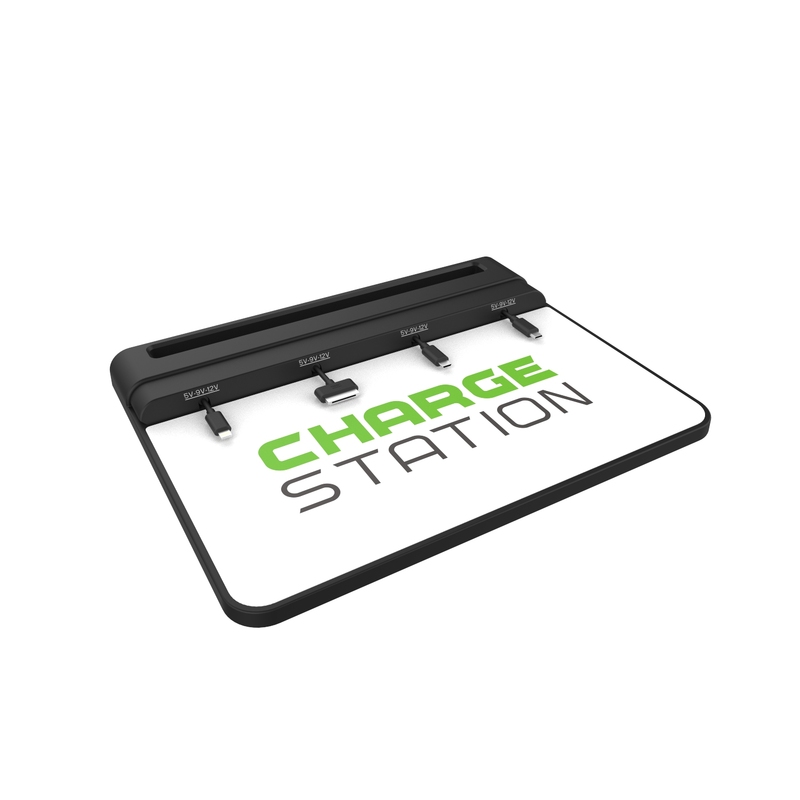 The CBM-004 is made of PVC while the mat is made of non-slip silicone which can be customized with your logo or branding. 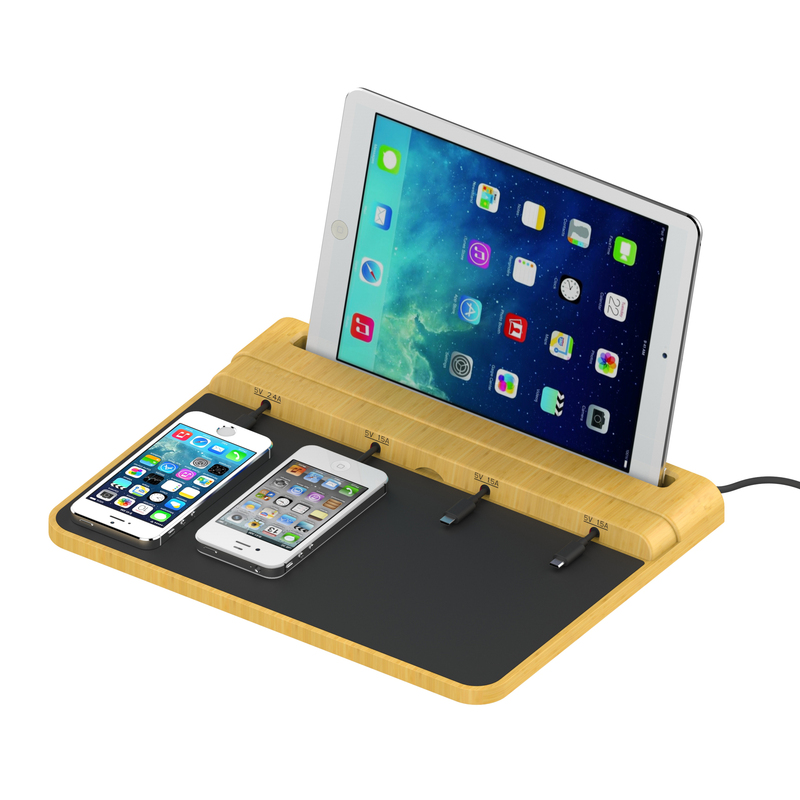 CBM-004 is available in multiple solid colors even real bamboo.